Barrington balances vintage style with an emphasis on a comfortable design that ensures a sense of ultimate luxury in any barber shop. 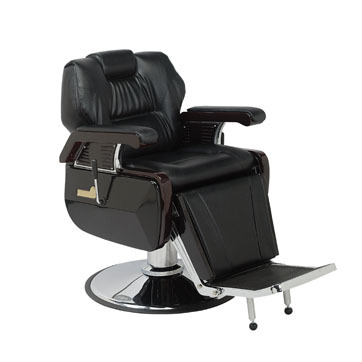 This luxurious edition simulates the pleasure of your favorite lounger in the form of a classic era barber chair. 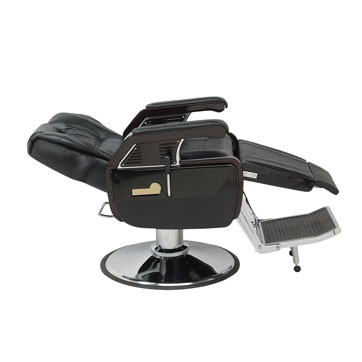 Features reclining back cushions, adjustable headrest, lifting upholstered leg panels, heavy duty hydraulic base, and classic chrome finish. Available in a variety of custom colors.